2010: Year in Review & Happy New Year! Happy New year everyone! Today has seen us welcome in the New year, 2011, wow that sounds scary. I can't help but think where did '99 go? One of the best summer's I can remember was the year 2004, I was 16. I'd just got my GCSE's and left school. I was ready for anything, fire in my belly, and a rebellious streak running straight through me. Some of the things I got up to with my mates that Summer, well you wouldn't believe me if I told you, but it was epic, and I sometimes long to go back there just for one night, to be reunited with friends I'm no longer in touch with and party the night away. But people change, and time moves on, and I'm no longer the person I was back then. Back to 2010. The year I graduated. The year I grew up. That is in a nutshell how I see 2010, although lots of other stuff went on my Graduation was the single most proudest moment of my entire life, and saw me grow into the person that I am today. Its good to look back over the year though and just sit and realise how far you've come, what you've achieved, prioritise the good things that happened and dont dwell on the bad. Leave the baggage behind and get ready to go into 2011 full of positivity. In January I celebrated my brothers, Dads, and Mum's birthdays. Yep, that's alot of birthdays to contend with straight after Christmas. February was a month for Sacrifice. I gave up Pepsi Max for Lent, and subsequently decided after Lent that I actually no longer liked the taste of Pepsi Max and kicked my addiction for good. The only problem is I'm now addicted to Diet Coke! February also saw me colour my hair for the very last time. Thats right I havn't had my hair dyed since February. I'm slowly but very surely growing my natural hair colour completely back. I think it will take another 2 years for me to have all of my hair at the length I want it and all my natural colour. All I can say is Thank God Ombre Hair came in "Fashion" when it did haha! In March I celebrated my 22nd Birthday. We went for a lovely meal at Bibi's Restaurant in Leeds and had a lovely evening. In April I finished and handed in my Dissertation. The final word count was 19,794. I've never tried as hard on a piece of work in my entire life. That moment when I held the finished bound copy in my hands was pure magic. May came and went in a bit of a blur. I finished University and sat my finals. June saw me get my first job in the big wide world. I began working for a Digital Agency in Leeds as an SEO Executive. I found my own independence and learnt more about the internet than I could have ever imagined. In July I Graduated with a 2:1 BA (Hons) Business Studies Degree. It was the best day of my life to date, without a shadow of a doubt. Patrick Stewart even showed up for the ceremony. I was also given a Balenciaga Handbag as a graduation gift.There aren't enough words to describe this day and do it justice. August saw my highly anticipated holiday to Mexico. Cancun for 2 weeks, I couldn't wait. I ended up with food poisoning which completely ruined the holiday, but I did have a couple of good days and added another stamp to my Passport. I also got my first DSLR Camera! In September I finally moved to my Kelanjo.com domain that I've owned for about 18 months. It turned out I was making a schoolboy error and was in reality easy peasy. October saw me dress up for fancy dress for the first time in my life. 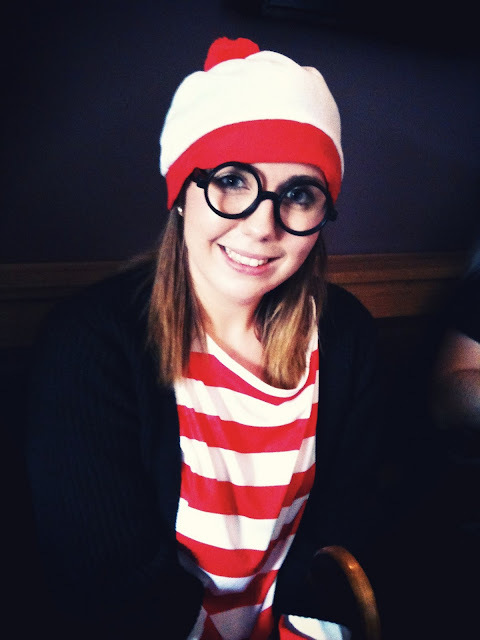 I went with Where's Wally and it was pretty amazing. I also went to a spooky walk in York. It wasn't spooky. At all.. I also ventured to London for the first time all year for the Eyeko Bloggers Event, and rejoined WeightWatchers. In November I had another chance to meet up with several Bloggers at the Aussie Take the Heat Bonfire Experience in Leeds. Despite the obvious Festive celebrations in December, one of the highlights of the month was getting my hand on the Zara bag I'd put a plea out for in October. Happy new Year! Great pics! i really enjoyed reading this Kelly. 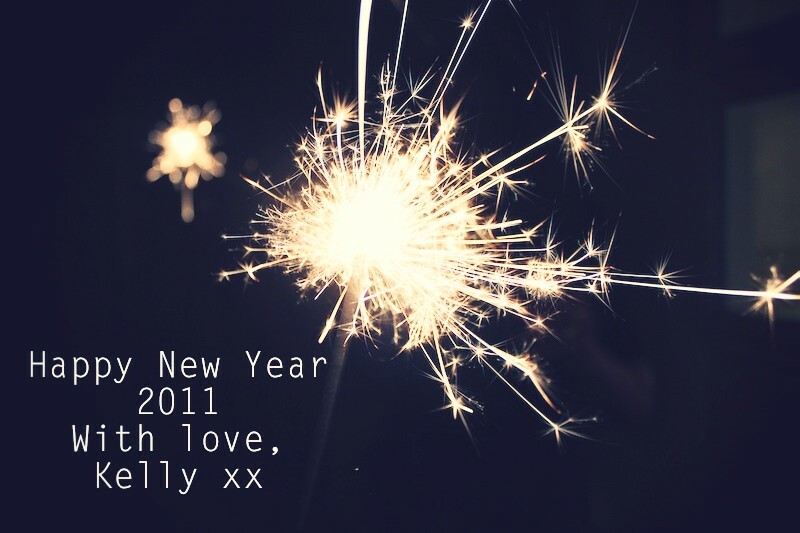 Happy New Year darling, here's to a fabulous 2011. Happy birthday Kelanjo and 15 Random Questions!